Leading the Grahams consignment at Carlisle in July, was the French-bred stock bull Frankyben, which made 7000gns. Sired by Achille and out of Bettyben, whose maternal grand sire is Panda, he sold to the Allerby herd of Messrs Miller, Allerby Hall, Allerby, Aspatria, Wigton. 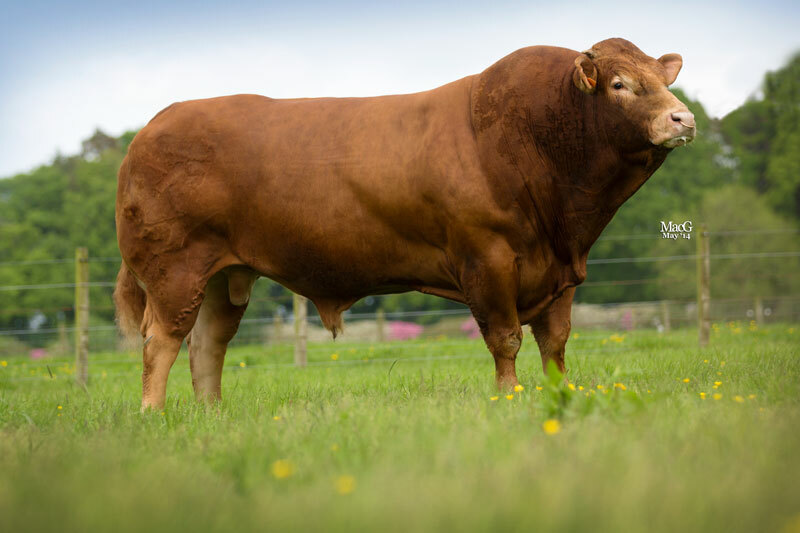 Grahams Holly – the first red homozygous polled Limousin female to sell in the UK – made 5750gns when purchased by Messrs Boyling and White, Crabwell Farm, Mollington, Chester, for their Crabwell pedigree herd. A heifer’s calf, Holly is by the German-bred bull Tigris and out of Fougue, a daughter of Bagou. Meanwhile, Greenwell Eden made 5000gns when selling to the Newton herd of Colin Taylor and Son, South Walton Farm, Newton Mearns, Glasgow. 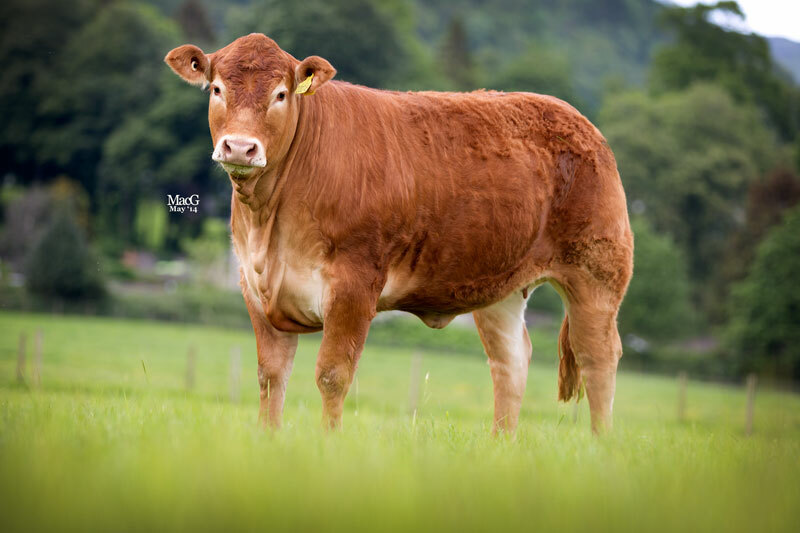 Bred by JT Nattress, Greenwell Farm, Lanchester, this five-year-old cow is by Vagabond and is out of the Ronick Member-sired Greenwell Ultra. She sold PD’d in-calf to Galeo and with her September 2013-born Goldies Forever-sired heifer calf at foot, Grahams Black Impulsive. 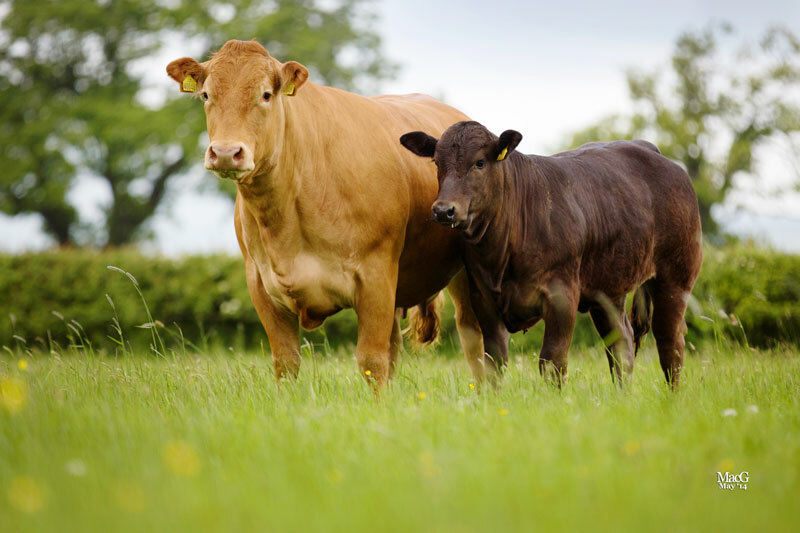 Overall, the four cows served and/or suckling averaged £3885.00, while four served heifers levelled at £3438.75 and five maiden heifers averaged out at £3307.50.